This image shows a new YJ1201 ready to fit. 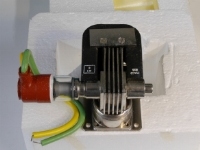 It has silicone insulated wires pre-attached to the cathode/heater connections and does not require any form of socket. As can be seen, the vacuum seals are glass and hence some care is required to avoid damage. Fortunately, they are small and relatively light, so damage is unlikely if a little care is applied. 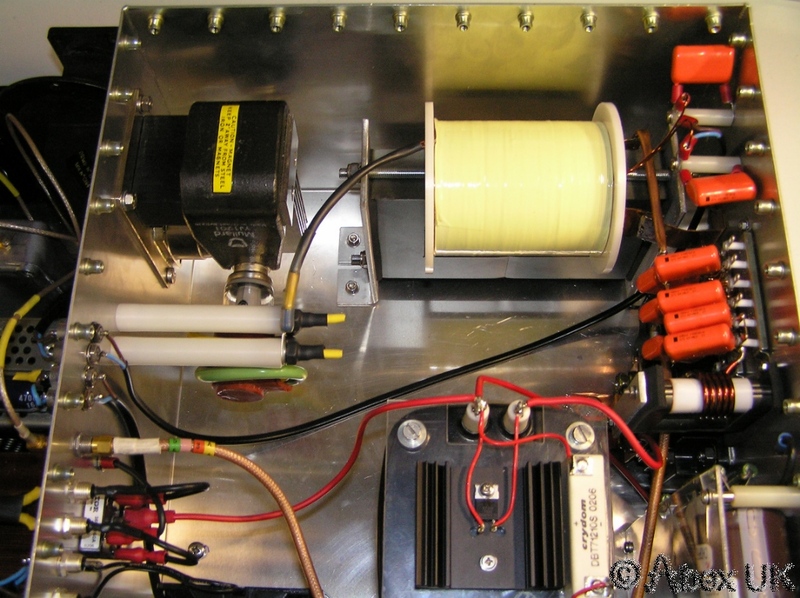 Here we can see the layout of the HV enclosure, with the YJ1201 magnetron in place. The magnetron is quite small, and conveniently fits inside the HV enclosure with only the waveguide 16 flange to bring through the side wall. The PFN and saturable inductor are clearly visible in the top image. 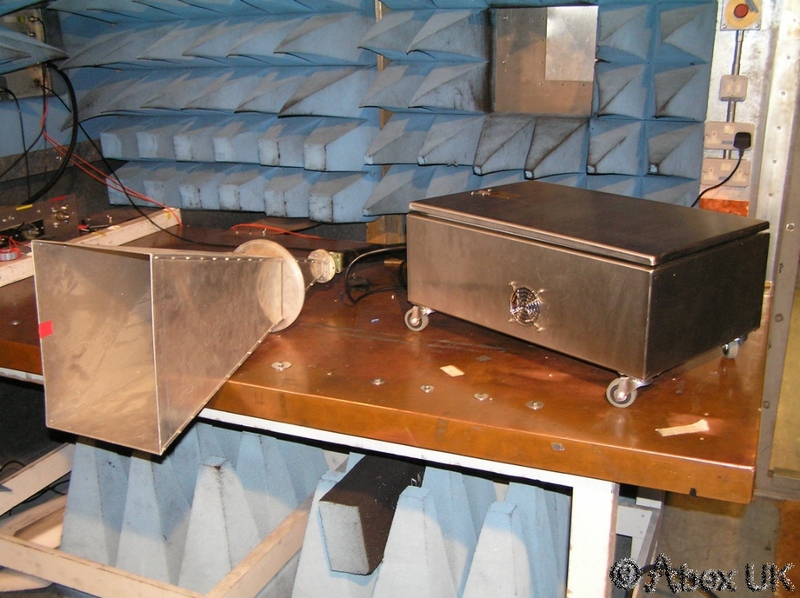 Here we see the 9GHz system in use inside a large anechoic chamber at the customer premises. 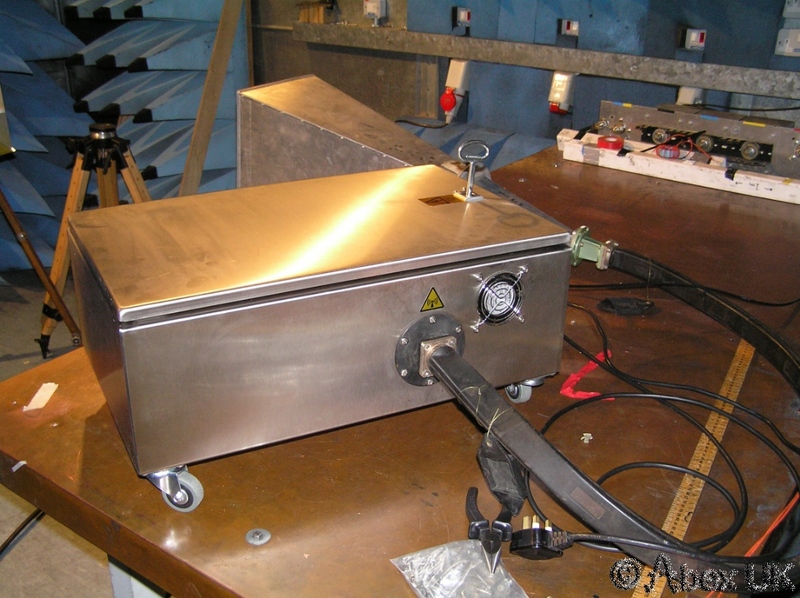 With 30kW of RF, the field strength achieved with a horn fitted is of course very high! 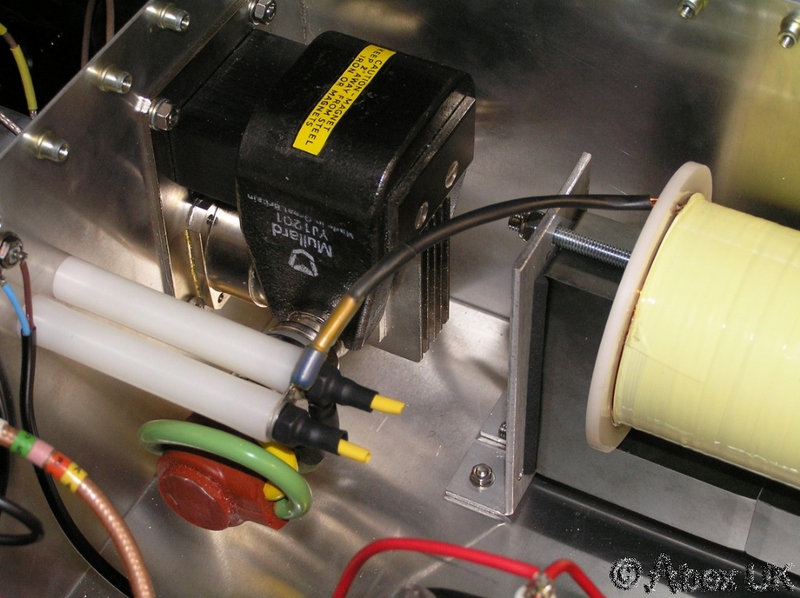 The flexible waveguide allows the RF to be "steered" and is a very nice feature. 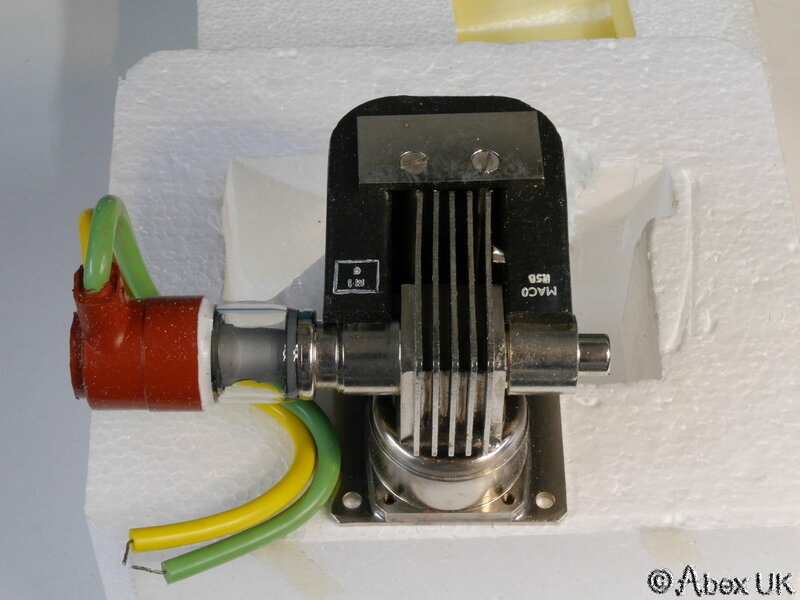 Abex (UK) has a selection of flexible waveguides in stock.